A responsive business to business website with a custom database driven backend, hand coded for a Yorkshire yarn supplier. 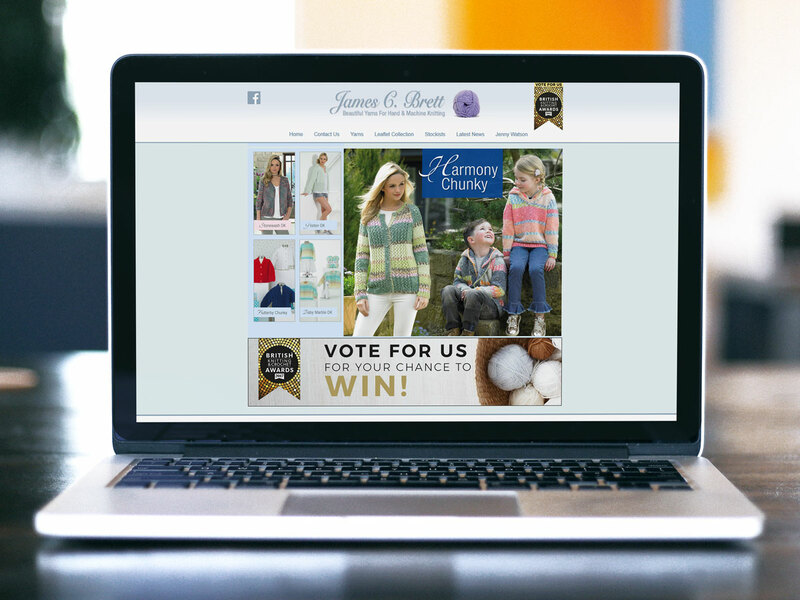 James C. Brett are a major wool manufacturer and wholesale, supplying high quality patterns and yarns to retailers across the UK and USA. We have created a custom database solution using a combination of PHP and MySQL which allows easy cross referencing of associated products. By implementing a bespoke solution, we are able to keep server overheads low, and make alterations to functions to account for changes in their product matrix. The backend is coupled to a hand coded, fully responsive HTML/CSS front end site, and complemented by an active Facebook social media presence.